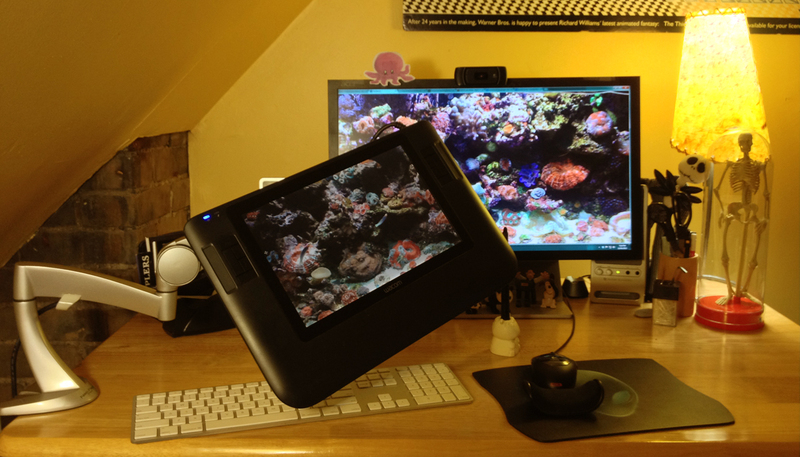 ' Tara Donovan - Animator: NeoFlex desktop monitor arm for Wacom Cintiq 12WX! NeoFlex desktop monitor arm for Wacom Cintiq 12WX! I'm so excited about my NeoFlex arm for my Cintiq!! Frees up my my desktop, makes it a snap to switch from dual-monitor to drawing. Only $77 on Amazon. It's super solid and easy to install. 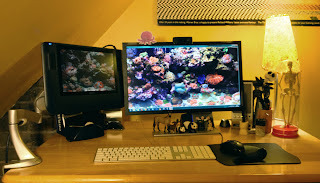 At first I ordered a different model that turned out to be too heavy for my light Cintiq 12WX but it works perfectly for my husband's monitor. Ergotron makes tons of monitor mounting equipment. 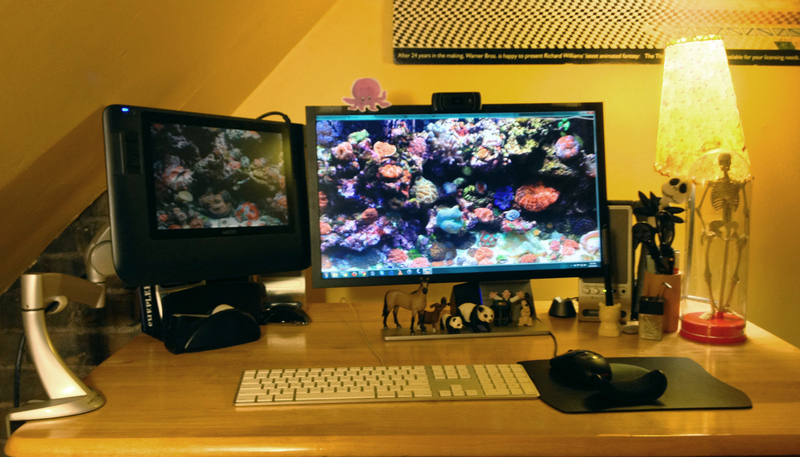 Their customer service is excellent and their website super helpful to determine the right model for your monitor. I got mine the day after I ordered it! Super happy with it so far. Highly recommended!